For those who have missed out on the amazing Flying Tiger €1 sale, you can now get a second chance. It is no longer everything for €1, but €2 isn't that bad if you go for the more expensive items. It is a great way to stock up on some gifts (even early Christmas gifts, if you don't have curious kids who would turn the house upside down, when they smell gifts :) ). At Flying Tiger, you can find kitchen supplies, stationery, kids toys, gadgets, home decorations, beauty products, candies, and cookies, and simple electronics such as headphones, earphones, selfie sticks, charge cables, and USB sticks. There is something for everyone. Compared to the horror I experienced last time (way too many people in a small shop and congested at the cash registers with closed, airtight doors and on a hot day), they organized everything really well now. There is a one basket per person policy, which easily allows them to keep track of the amount of people inside. When someone leaves and gives them back a basket, another person can enter the shop and shop with that basket. There was only about 20-30 people inside, when I went to the Flying Tiger Rotterdam city center shop late Thursday afternoon, and barely anyone in the waiting line outside. I felt like a kid in a candy store and I could leisurely take my time to look around for things. No stress at all. The store was also still very well stocked, except for maybe the several €10 and up items. This time, it is also not only one day, but four days in a row (from Thursday to Sunday). Even people who need to work or go to school full time on weekdays can now score some bargains in the weekend. They promise to add new things every day, so it is going to be worthwhile to have a look on the last days as well (there will not only be some bad leftovers). These are the 5 items that I got for €2 each. I am planning to start bullet journaling this year and to have a good start, I got two bullet journals from Flying Tiger. The fuchsia one on the left was already available for some time, but the pink one on the right is brand new. It is part of the recent Space collection and I really love the silver Big Dipper on the cover. 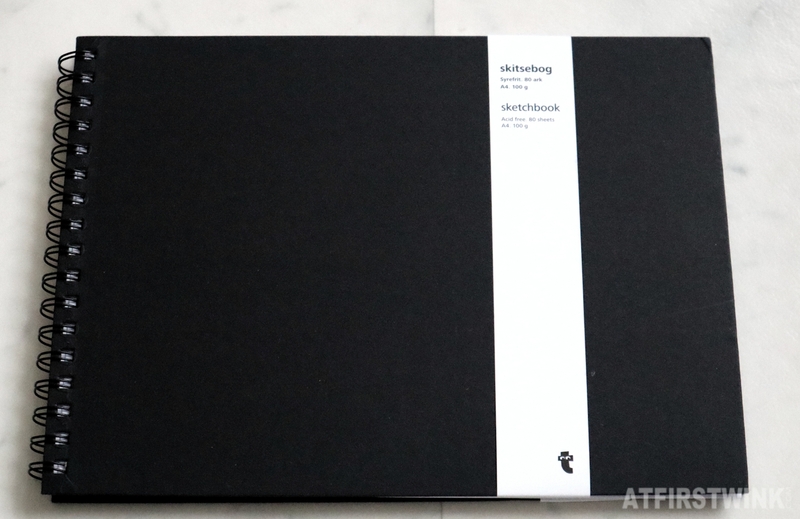 I also plan to learn how to water paint this year, so this black sketchbook with 80 thick A4 sheets would come in handy. 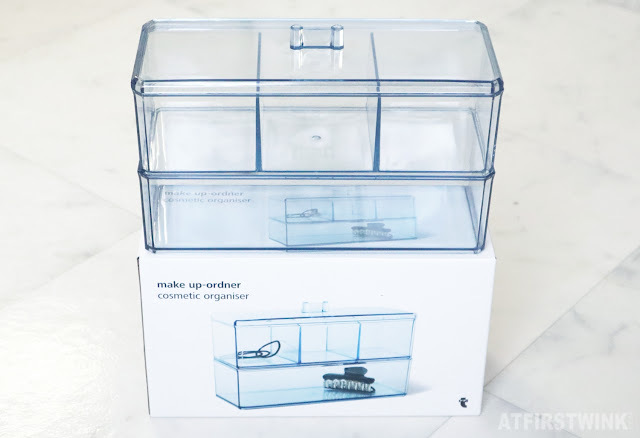 During the €1 sale, I already got this cosmetic organizer/acrylic beauty products storage box in transparent purple glitter. I really liked it, so I got one in light blue too. Lastly, I bought this roll-up travel pillow, which can be used flatly (on the seat or on the back of the seat) or rolled up (hand warmer/neck or head rest) by closing the orange zipper. 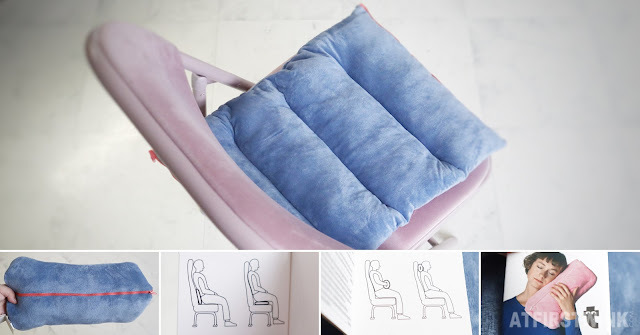 It has a very soft, light blue velour fabric and fits perfectly on my Søstrene grene pink velour foldable chair. I wanted to get the mini snooker table, mini table tennis table, or mini air hockey table (around €15 - €25) too, but they were all sold out by the time I got there. I saw on the Flying Tiger Facebook page that someone was lucky enough to get those (the expensive and cool items are really not hidden or excluded from the sale! ).